Warriors point guard Stephen Curry returned for the second half of Game 4 Monday night after taking a hard fall midway through the second quarter. The Warriors announced that Curry suffered a head contusion. Earlier in the game, Curry appeared to land on his head after being upended while trying to defend a potential shot by Rockets guard Trevor Ariza under the Houston basket. 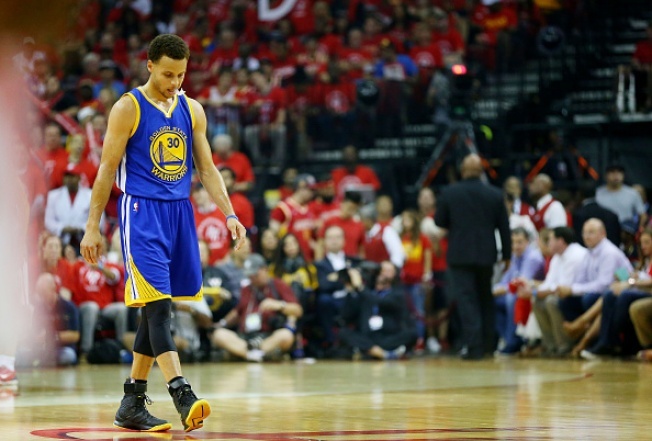 A stretcher reportedly came out, but Curry walked to the locker room on his own power. Visit NBC Bay Area's Warriors page for full team coverage.